Statistics shows that most of the break-ins are done through your front door. They are not only the entry point to your home and they are the most significant part of your house too. 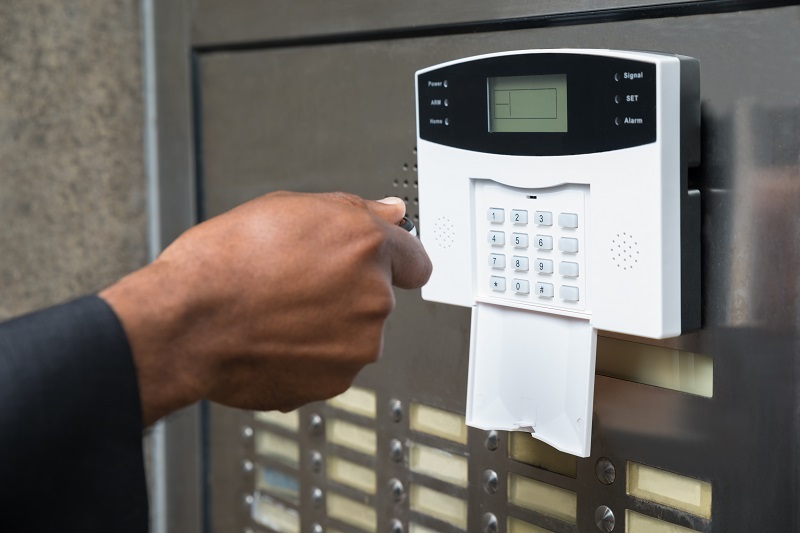 It is true that while you consider the security of your home, your top priority should be the front door, but you should not forget that the robbers can enter your home from other places too. So, you need to install a proper security door in your house. Most of the security doors are made with metals such as steel and aluminum, and it is very difficult to break these doors by an intruder. Apart from that, new edge security doors are also compiled with some security measurements and locking systems. So now you can install these doors to secure your property. A burglar will enter your home from any point that they find suitable. Front doors are the most common entry point, but apart from that they may prefer the following entry points too. Back doors are another preferred entry point of the burglars. They prefer it because most houses have security door installed at the front door and they ignore the back door. Hence, it is safer to enter through that. Sliding glass doors are another entry point. You may have sliding glass doors at various points of your home that includes the back doors too. There may be one from your kitchen to kitchen garden or one at study. Normally you ignore these sliding doors and keep them open. Hence it is easy to get inside your home. If you have such doors in your house, then you can install an additional security doors or security mess on these sliding doors to protect your property. Many times, the burglar gets inside your home by your garage. Homeowners those who use their garage to get inside their home leave the garage door as well as the door at their home open for ease of movement. As burglars know about it they prefer entering your home from your garage. Another point of entrance is the first-floor windows. They are the weakest point of your home and the burglars take advantage of that. They enter your home from the windows. Now, to secure your home from the burglars you can install security door at the different entry points. This will enhance your security. Of course, you cannot install a security door at the window but then there are other options available for your windows and you can install some security window shutters for your protection. What material is used for making the doors? Mostly you will get steel or aluminum doors as security doors. Steel doors are costlier than the aluminum one, but they are sturdier too. At the same time, aluminum doors have better aesthetic look than steel doors and they are corrosion proof too. Hence, you can discuss with the seller about which material do you want. What are the locks and handles used in the security door? They are the most important part of the doors as they make the door secure. Hence, ensure that they are from quality brand. The hinges of the doors should also be fixed with the fixing frame that is welded in the wall. This will make the door stronger. The hinges are also another important consideration while you choose security doors. What warranty is provided by the manufacturer of the door? Any good quality product will come with warranty and you must check the warranty before you buy one. If you select the door after considering the above tips you will have a door that will secure your home, whether you have it at the front or back.